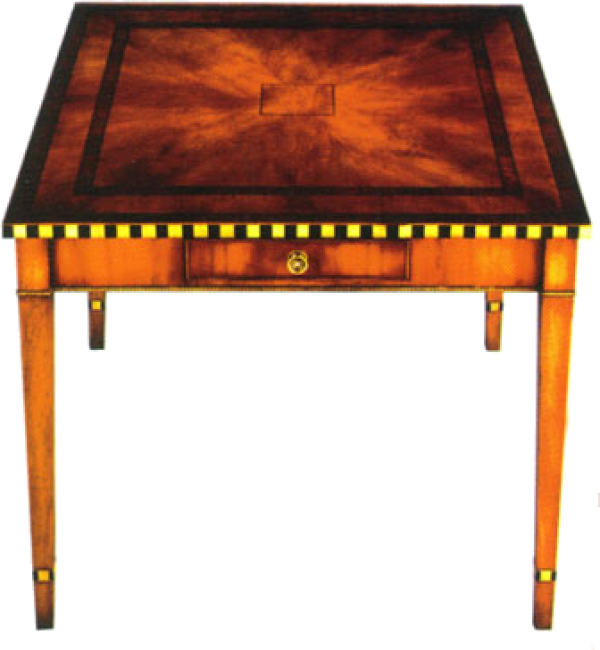 Games table with reversible top, inlaid with Ebony and Rosewood. The chess and backgammon boards are inlaid with Ebony and Yewwood. Two working drawers. Square tapered legs. The top is aslo available in leather. Pictured in Yewwood.